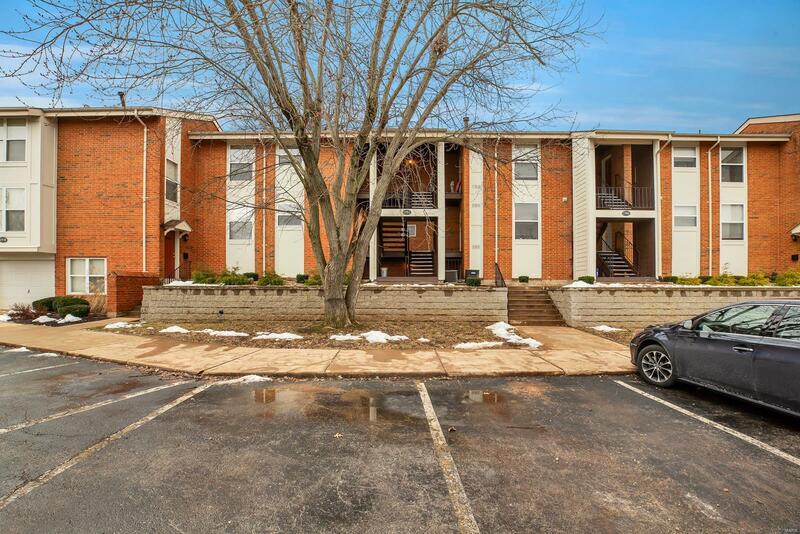 Dynamite 2 bedroom, 2 full bath condo in Kirkwood. All fresh, ready to move in! New kitchen makeover! Stainless appliances, new granite counter-top and sink, new built-in Microwave and Dishwasher in Jan 2019. Refrigerator and full size washer/dryer stay with condo! Fresh carpet (Dec 2018) in living room and bedrooms. New ceramic tile (Dec 2018) in the kitchen, hall and both bathrooms. Both bathrooms have new vanities and toilets. The new 50â flat screen TV that is mounted to the wall in the living room stays! So does the new 32â flat screen TV in the master bedroom. All other furniture, couch, table, chairs, bedroom set, wall dÃ©cor, clock and mirror is all included with the sale. Great view off the deck overlooks the common area. Complex has pool, tennis courts and a fitness center. Park-like grounds in awesome Kirkwood Schools!